A bit dark and masculine. But overall, I do like the feel of the room. I like the layout. I like that it's warm and comfortable. A bit too dark and monotone. I'll keep the lighting. 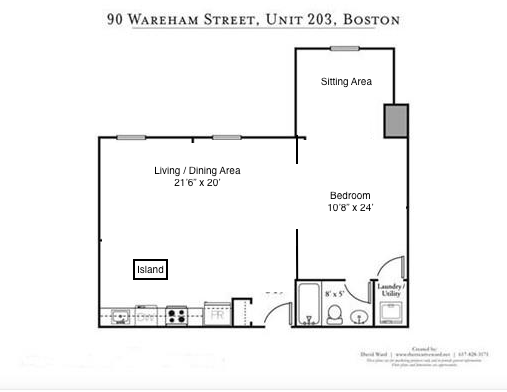 I have a couch and ottoman (Boston Interiors - Bailey Sofa and Ottoman) that I'd like to keep but isn't essential. I've considered a sleeper sofa in this room although I hear that they aren't very comfortable and to stick with air mattresses for guests. I have some art that I'd like to find a place for. I also have a fiddle leaf fig that I'd like to keep (but it needs a more attractive pot). 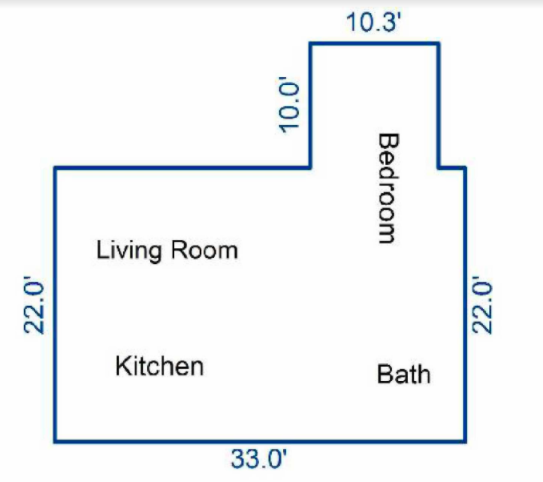 The floorplan isn't exact. 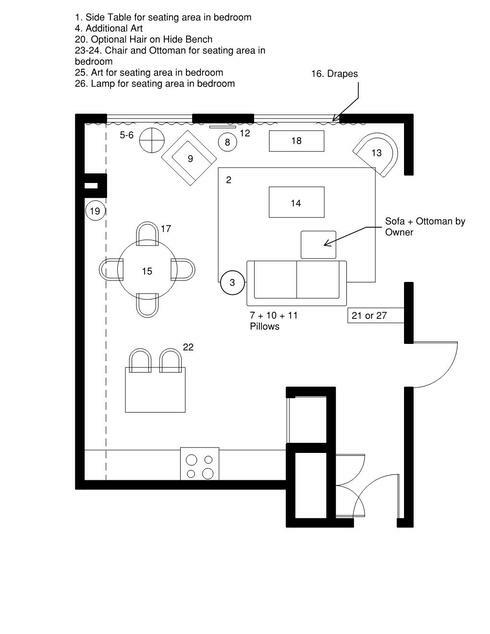 I'm waiting to get one from the current owner but this one is pretty close (it's the same unit one floor below). 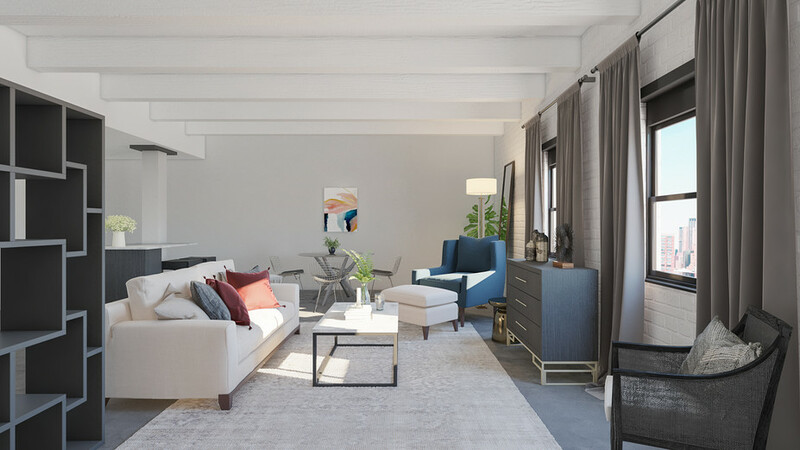 The client does not have any furniture that she is moving into the space - the photos show the previous owner's furniture (which she really likes and ideally would mimic something similar in her selections). I' loving everything! You've been awesome nd your work is fantastic! Thank you! 25 Dreaming Art Frames 15" x 21"
For your main color, we chose to use gray because it is neutral and seen as elegant and classy. Exhale Canvas Print Canvas Print Discount link available to project holder only 25" x 32"
French Column Glass Floor Lamp Polished Nickel Lamp Base Discount link available to project holder only 73 1/2" x 8 1/2"
Quantity: 4 Velvet Drapes - The length for these needs to be confirmed Discount link available to project holder only 108" x 50"
Dreaming Art Frames 15" x 21" Framed Art Print Discount link available to project holder only 15" x 21"